The fear for the sprinter should be only a companion of those that do not disturb. A discreet presence that remains far from the mind would otherwise only end up hindering a job, that of the sprinter, which by definition is one that throws itself headlong into the fray. The sprints are excitement, more or less calculated risk, instinct and adrenaline. Not everyone’s stuff. It also takes a hint of healthy madness to compete in the tight spaces on the 70km/h line. Yet there is a runner who seems to be stuck in an important way from the fear of sprint. A strong contradiction for one who built his career on sprints. Let’s talk about Marcel Kittel, who this year is demonstrating these limits in the first sprints of the Tour de France. By analyzing the situation better we have to make some considerations. Until last year the double of Ivan Drago (historic adversary of Rocky Balboa) had by his side riders likes Maximilian Richeze and Fabio Sabatini ready to smooth the way and bring him to the last 200 m from the finish line. This allowed him to start from the front of the group and unleash all his power, which is so great. In the first stages of this Tour 2018 we saw him starts from the rear and no one has escorted him to the head of the group. There was also bad luck. In fact, his domestique, the Austrian Marco Haller, is convalescing to have been hit by a car a few months ago. The other serious mistake is that of his team, Alpecin Katusha who has not built around his champion a group able to support him at best. Kittel is not like Sagan or Robby Mckwen (an Australian opponent of Cipollini) able to get away on his own. 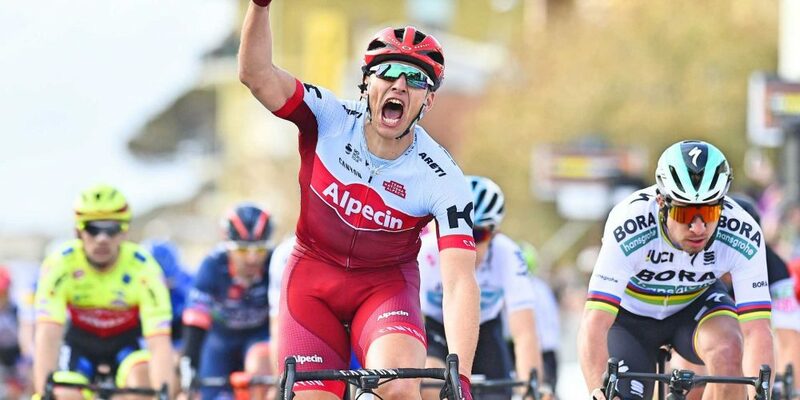 On the finish line of the fourth stage the team tried to support it, obtaining 2 negative results: bad in the sprint and loss of one minute in the standings for Illunur Zakarin left only after a puncture. A few ideas but confused. Those of fear, however, continue to not have Marc Cavendish who always launches headlong into every sprint. But in this case the problem is of legs.